BIN 27 is a wine of high quality and consistency produced from grapes from Fonseca’s own quintas in the Cima Corgo (Portugal). It pairs well with young and aged hard cheeses or dark chocolate and berry-based desserts. SRP: $20 for 750mL; widely available nationwide. Also if you are looking for a delicious and affordable holiday gift idea: the bottle of Fonseca BIN 27 bears the special “Artist Series” label designed by artist Barnaby Furnas to benefit The Waterkeeper Alliance. Available as of September 1 in limited quantities. Late Bottled Vintage Ports are produced in excellent years when a general vintage is not declared. 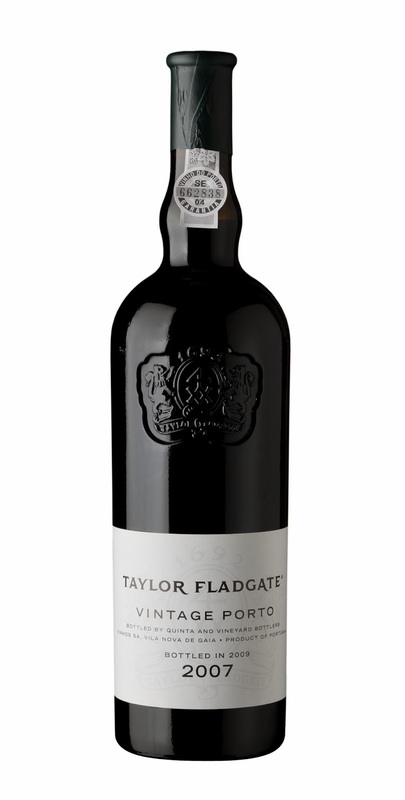 The 2007 LBV of Taylor Fladgate displays an elegant bouquet of black fruit, with herbal and licorice notes. Excellent with full-flavored cheeses, especially blue cheeses such as Stilton or Roquefort, it is also delicious with chocolate and berry-based desserts. SRP: $25 for 750mL; available nationally, in limited quantities. The 10 Year Old is a blend of wines, selected from Croft’s considerable stocks, that have been aged for an average of 10 years in neutral oak casks. An excellent choice for the end of a meal or at the end of an evening, this wine can be served slightly chilled on its own or with walnuts or roasted almonds, or nut-based desserts. SRP: $29 for 750mL; available nationally, in limited quantities.